There's a special attraction between little girls and horses. I almost said that all little girls want a horse, but that may not be entirely true. It's pretty close, though. If you have a little girl, you know what I mean. I was certainly one of those girls. Call Your Insurance Provider - The first thing you can do is call your insurance provider. 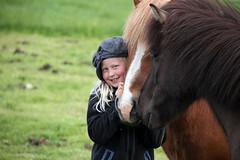 See if you can get an insurance quote for your horse as soon as possible. If your insurance company doesn't offer horse insurance, you can also contact several different insurance companies and try to request a quote from them. Sometimes, contacting multiple companies is better, enabling you to find the best deal. 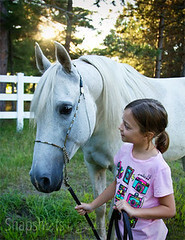 Look For Horse Insurance Companies - The next thing you can do is look for horse insurance companies. Sometimes these companies offer traditional insurance to people, but their main focus is to provide insurance for horses and other animals. You can find these types of companies online. Be sure to check the search engine ratings and customer reviews. A company with high ratings and good reviews is the Ark International Group. They promise to deliver a horse insurance quote within minutes, and they do their best to provide the country with the lowest insurance rates for horses. You may not think having insurance for your horse is a big deal. However, your horse can get sick or even get hurt in a split-second. With no insurance, you may end up spending thousands of dollars, so even though you hope never to need it, you will be very happy to have it if something unforeseen happens.